I’ve been focusing a lot of time on writing lately, so I haven’t been doing much in the way of reading. I’ve got a lot of things started, and a lot of things I want to start soon. But I wanted the satisfaction of finishing a book, since its been awhile since I’ve had that. So I decided to read something quick, just to break up my current reading mayhem. When I was around 10, I loved R.L. Stine’s Fear Street novels. I read a bunch of them, and one of the only memories I have of the library from my childhood is of checking out some of these novels to read in the car on the long road trip from Oklahoma to Ontario. 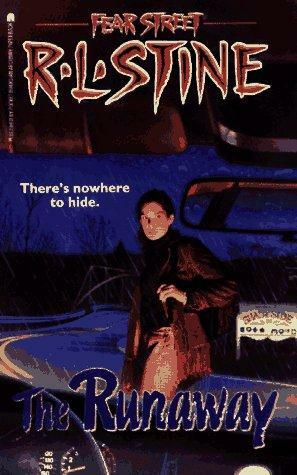 One Fear Street book in particular, Halloween Party, was my favourite, and I still own my copy of it today. Last year, I had the pleasure of re-reading it for an assignment in my Young Adult Materials class, and since then I’ve been meaning to try out another one, just for fun. I checked out The Runaway from my library last week. It wasn’t my first choice, but it was the only one we had that I was pretty sure I hadn’t read before! This story was about a girl with telekinesis, who had runaway to Shadyside to hide from her past. 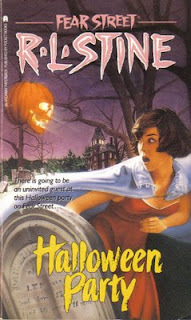 This book wasn’t as great to read at this stage in my life as Halloween Party was to re-read. I do remember, even as a kid, that some of the Fear Street novels were infinitely better than others, so I am thinking this may have been just a weaker one. There were three past tense deaths in this book (some novels in the series had great deaths, and some totally coped out of any deaths at all. Drove me insane at 10, and still does! I hate when you think someone has died, and then its quickly explained at the end that they didn’t die after all), but no present tense killings. Also, I couldn’t believe how terrible the relationships were in this book! The main character, Felicia, had an instant crush on a boy named Nick, who had a psychotic girlfriend named Zan. Nick would hold Felicia’s hand, kiss her, and then turn around and snap at her when she questioned why he was still with his girlfriend. Meanwhile, Felicia spent the whole novel going wow he’s great, if only I could be with him forever, and oh he doesn’t care about me at all. Well, forget him. …Really? 2) I can still see influences from these books in my writing today! It’s definitely clear that I read a lot of R.L. Stine when I was young, and that these books sparked my love of reading, and of creating stories. So while reading The Runaway wasn’t that great in terms of plot and character development, it was still a nice trip down memory lane, and a nostalgic look at where my writing styles have changed, and where they have stayed similar throughout the years. Okay, and I have to totally agree with you about the deaths thingy. But I especially hate it when you're reading a novel and it's so weak that you already know there will be no real death and you predict the fortuitous survival before the author ever pretends to off the character. And THEN you have to read about the mourners in the aftermath of said fake death and it's somehow not very moving because you know two seconds later, all will be well. I could go on. lol!